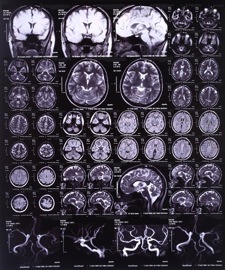 Brain injury is the most serious and most devastating category of personal injury case around. At Goldfinger Law has a particular focus in handling these cases. We understand that brain injury can occur in a variety of different ways, whether it be from a car accident, bicycle accident, pedestrian collision, boating accident, slip and fall or other trauma to the head. We also understand that a traumatic brain injury can have a variety of different consequences which present differently depending on the accident victim. Headaches, blurred vision, memory loss, loss of concentration, fatigue, ringing in the ears, depression, anxiety, rage, mood swings, slurring or stuttering or words, speech pattern issues, dizziness, loss of balance, loss of appetite, loss of sleep, and compulsive behavioural patterns are all associated with a major head injury. With offices in Toronto, London, and Peterborough, we’re able to service clients across Ontario. One of the biggest problems accident victims face when dealing with brain injury, is that it is invisible. There's no giant cast, band-aid or bandage which screams to the world that your life has been turned upside down on account of traumatic brain injury. Sometimes, only your friends, family or loved ones can appreciate the change in your life or mood following an head injury. Sometimes, the brain injury doesn't show up on any scan, or MRI result. This makes it increasingly difficult and frustrating for the accident victim to cope with their day to day challenges, which are already impaired on account of the brain injury. Goldfinger Law understands the uphill battle which you face, along with the personal, emotional, social and financial challenges accompanied with it. We don't want to make your life already more complicated that it's become. Our goal is to simplify your life, and take the pressure of the emotional, health, financial and social stressors away, to give you peace of mind. This is what we do. We've handpicked a team of medical and rehabilitative professionals to help brain injured accident victims like you or your loved one. These medical and rehabilitative professionals have special training when it comes to working with brain injured clients like you. They understand how brain injury affects the person, the family and their associated lives. Their understanding of the symptomology, scope, and rehabilitation of the brain is next to none. But their kindness, work-ethic, empathy and patience in working with you is where these professionals really shine, and will really make a meaningful difference in your life. Our lawyers and team of legal professionals understand what your challenges are. We will take the time required to make sure that you have all of your questions answered, in straight forward language which is easy for you to understand. We take the approach that there's no sense in using hard to understand "legalisms" with our clients. If you don't understand something, you're invited to let us know what it is you don't understand, and we will explain it to you until everyone's on the same page. If it's face to face communication you desire, you're invited to come to our office to meet with a lawyer to chat about your case. If you can't meet at our office because of transportation or mobility issues, we will meet with you at your home or hospital. At the end of the day, we want to make sure that you understand what's going on and that you're completely comfortable with the legal process. We know how daunting the journey can appear. We want to make sure you get through it as smoothly, as quickly and as efficiently as possible. People often want to know how much money they can expect to receive from a personal injury claim involving a traumatic brain injury. Brain injury cases often yield damage awards which are higher than other cases, but it all depends on the facts of the case, the nature of the injury, and the person's functional level before and after the accident. Factors courts look to in assessing these cases may include how much money was the person earning before the accident, whether or not the person is able to return to work following the accident, how much future care will the person require following the accident. All of these amounts can render million dollar results. 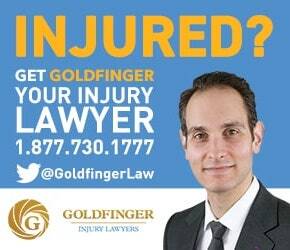 While there is no clear cut answer to any of these questions, we invite you to contact a lawyer from Goldfinger Law so we can give you a free, no pressure assessment of your case. We can answer these questions as best as we can, and help you protect your rights so that you aren't taken advantage of by somebody acting for the insurance company. You have nothing to lose by calling, and everything to gain. If you can't meet with us at our office, we will come to you. We do hospitals and home visits. 5.0 "There's no better brain injury lawyer out there"